It all goes back to April, when the Papua New Guinea Supreme Court found the Manus Island detention facility, ostensibly directed and run by the Australian government, in breach of the PNG Constitution. The Australian response to this grim affair had always been crude yet consistent: the asylum seekers housed at the detention centre were not the responsibility of Canberra, despite being there precisely because of its draconian non-settlement policy. 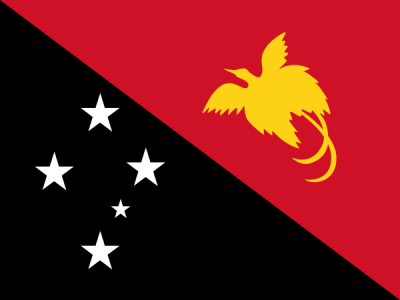 Dark, and deeply unsuccessful outcomes, have greeted those few who have resettled in PNG itself. It all constituted the grand deflection of state obligation, an outsourcing of duties characteristic in its approach to the UN Convention on Refugees. The persistent, gruesome alibi in this awful mess has been the good Samaritan nonsense of preventing asylum seekers and refugees from drowning on route to Australia. Even as the offshore detention system crumbles, Immigration Minister Peter Dutton insists rather mechanically on that broken theme. “The Labor legacy of the failed border protection policy, not only did it result in 1,200 people drowning at sea, but it resulted in billions of dollars being spent on this program.” Keep them in indefinite detention, in other words, for their own, deeply misunderstood good. Unfortunately, Australian officials and law enforcement authorities across various states have shown a certain enthusiasm, even hunger, for youth detention. In the Northern Territory and Queensland, instances of brutality against juveniles in detention centres have been common and publicised of late. The zeitgeist is very much against the child in such instances. The dogma of never accepting asylum seekers accept via the official humanitarian channels means identifying a state with the appropriate developing status. Poor countries, in other words, are always going to be more attractive in the game of passing the refugee than wealthier ones, despite the standing invitation by New Zealand to accept more of Australia’s forsaken cargo. Suffering, in short, must be emphasised. The Labor opposition has decided to monetise the issue, hoping that figures, rather than compassion, will win the day. Instead of focusing on the central premise of international refugee law, the government in waiting has found a different, noble alibi: the Australian tax payer. Neumann, taking the low pragmatic ground, has also sought to speed up negotiations on finding another country willing to accept Australia’s refugee and asylum seeker cargo while working more closely with the United Nations High Commissioner for Refugees. On costing matters, he would be on even better ground suggesting something unthinkable to policy hacks within his party: closing the centres would achieve staggering savings for the commonwealth government, somewhere in the order of $3 billion. The figure comes straight from the Parliamentary Budget Office, though critics prefer to regard them as contingent at best. Neither the Turnbull government, nor Labor opposition, accept that the offshore detention system is beginning to implode. The central premise to its existence is not one of facilitating, but detaining. The operating rationale is one of punishment, not processing. Closing such centres would save billions and achieve something remarkable in Australian foreign policy: upholding international conventions it has long flouted with a sneer. It will also allow individuals kept in detention for over three years to taste something absent in their emotional diet for some time: the prospect of freedom.